Beyond the amusing irony of an anonymous poster denouncing anonymous posts, as an anonymous poster myself I take issue with the anonymous poster, whom we will refer to hereafter as SSPX-X. In my experience there are two groups of people highly critical of anonymous criticism or correction: those who wield power tyrannically and those who are protected or immune from the power of the tyrant. In the case of Francis of Rome, it is manifestly the case that this man wields his crosier like a club. If you doubt this, ask the Franciscan Friars of the Immaculate or Cardinal Raymond Burke or anyone else who has been the object of his papal tirades and insults—to include traditional Catholics. With regard to those who are protected or immune from the power of the tyrant, to a degree this applies to the Society of Saint Pius X. Even though—and precisely because—they are regarded as irregular by the Vatican authorities and mainstream Church, this has put them in a position to stand in private and public opposition to the aberrations of the Vatican II era Church with relative impunity. After all, what Society priest would be suspended or laicized by superiors for criticizing Vatican II or any heterodoxy. On the other hand, what diocesan cleric dares speak publicly about the same without a realistic fear of suspension, or far worse? It is my hope that the criticisms of SSPX-X are not widespread within the Society and do not represent an official position of the Society, even though the post appears on the Society webpage. Many anonymous bloggers and authors within the broad spectrum of tradition are strong supporters of the SSPX, including many or most of us here at The Remnant. And while still supporting the SSPX, many of us are gravely concerned about the impending regularization of the Society with Rome, under a papal regime that is transparently tyrannical, heretical and unprecedented in Church history. « England Consecrated To Our Lady? Fortunately or Unfortunately the Internet gives us Annonimity in one form or another I am very sure that there are many so called Celebrities whom post under false names and trolling as we know is rife . Going back to The Francis problem and we know it is a problem. If the man would just come right out and say that he is opposed to anything that is Traditionally Catholic at least he would be telling the truth. But no he comes out with more riddles than you’d find in the latest Batman Movie. Obviously most of us on here have asked Priests what they think of Francis and know the ones who still want to be Truly Catholic usually say ” well ad rather not answer that ” the ones for Francis are always saying what a Saint he is . One in particular had a photo as Francis as the New John the Baptist. So we know that the clergy not 100% for him are for the boot if he finds out ,it’s Democracy Obama style. You couldn’t make this stuff up. Surely it’s a joke? It’s not a joke. It’s actually on the SSPX US site. I was dumbstruck when I saw it. I think there’s a strong element of straight-lacedness in the SSPX which is a pity. Is this a pre April Fools’ wind up? -Most, if not all of the articles on the “News and Events” page are “anonymous,” unless they are quoting a specific source. -The article was not a blanket condemnation of anonymous criticism of the Pope, only of “disrespectful” and “passive aggressive” anonymous criticism. -In response to the alleged recent silence of the SSPX regarding Francis’ many abuses, I pointed out that he has obviously not been paying attention to the numerous articles posted and circulated by the Society….including the very last sentence of the article to which he objects! -I also pointed out the hypocrisy of objecting to an “anonymous” SSPX article, when Father X’s piece was itself also anonymous. While I agree with your final paragraph, I’m afraid I have to disagree with you on the rest. I find it odd that this Society priest would write such a harsh attack on the satirical commentary (i.e. the posters in Rome) on this scandalous papacy, with terminology that left me open-mouthed: he bemoans what he perceives to be a “passive-aggressive and disrespectful method of “correcting” the Sovereign Pontiff. And therein, one can detect an unfortunate attitude of clericalism which is hostile to the very idea that any lay person would or should “correct” a pope. This priest no doubt extols the virtues of St Catherine of Siena for her brave letters admonishing negligent popes (in the strongest of language!) forgetting that when she wrote her brave letters, the great saint was a lowly laywoman named Catherine Benincasa. I once asked a Society priest if another SSPX priest who expresses a devotion to St Catherine of Siena but is clearly uncomfortable with lay people being active in the Church, would, very likely, have disapproved of the saint when she was plain old Catherine Benincasa, to which the good Father replied: “Probably”. I don’t consider it cowardly at all to use a pseudonym – heavens, many of the most famous works in English literature were published under a pseudonym. It’s an accepted convention in writing, and, of course, in blogging. Not everyone does use a pseudonym, but for those who would otherwise be held back from contributing to discussions, I can’t see the problem. It’s the ideas, the teachings, we wish to discuss, not individual identities. Implicit in some of the remarks in that article is the idea that if the same points were made politely, without satire, without in any way appearing to “attack” the person of the pope blah blah, then the complainants would have received a courteous and satisfactory reply; that their concerns would be addressed. Not the case. Not remotely. The posters went up around Rome, remember, what, 4 years into this (shocking) pontificate? The culprits have not exactly rushed to judgment. I wish I’d been in Rome when they were going up – I’d have helped. One of my friends, who attends a Society chapel, gets very angry at times with the Society and with other allegedly “traditional” type priests in the mainstream Church – he gets angry because, he argues, these priests have no idea of the heartache of seeing your children lapse from the Faith due to the negligent priests and bishops overseeing (and causing) this crisis in the Church. To then rush to hostile commentary over this poster campaign, is a bit much to take. Your (Gabriel Syme’s) point about “resistance” movements in war is apposite. We are at war right now, in the Church – a major spiritual war and we need all hands on deck and every means available to us, including satire and straight talking. Nothing cowardly about that poster campaign. Quite the reverse. If the pope has been offended by the satirical posters on show around Rome, too bad. His wounded feelings won’t send him to Hell; my friend – on the other hand – fears for the eternal salvation of his children’s souls, due to priests like the author of that article, who appear to be more concerned with “keeping up appearances” (of respect for the person of the pope) than with speaking in plain English to those causing the widespread apostasy, including Pope Francis, of which my friend’s children (and may others) have fallen victim. I was quite amused by the “passive aggressive” remark of SSPX-X. I have written to superiors of the SSPX over the years on issues of concern, always signing my name, and have rarely received a reply. Any replies I have received have been nicely worded clericalist dismissals that are not open to debate. Now that’s true passive-aggressive. In terms of their pastoral approach to the faithful the SSPX superiors are exactly the same as the Modernist hierarchy, by which I mean that they display no little disdain for any subordinate who dares to question their judgment, whether right or wrong. But just to be clear, the SSPX is a great work of grace and I have been associated with the Fraternity for 25 years now. While I fully support the spirit of what the SSPX stands for, however, I cannot pretend that everything is as it should be, it’s not. Like all ecclesiastical office human beings are put in charge who don’t always live up to the priestly ideal in respect to how they treat the faithful. This is a little more understandable for the SSPX since it’s priests are not in a parish setting and are therefore deprived of pastoral training, especially the training that curates once received under wise old parish priests. In fine, the SSPX does a great job upholding the Traditional Faith and providing the true Mass and Sacraments. But it is far from perfect, not remotely like the old parishes we Catholics once knew. The worst part is the absence of pastoral understanding and/or sensitivity. I could be wrong but my experience with SSPX superiors suggests that they like to exercise their authority. That completely uncalled for article by SSPX-X demonstrates the point admirably. Fortunately, the rank and file clergy of the SSPX are great. As you say, the SSPX is a great work of grace, definitely a God-given lifeboat but, as with the pope himself, it is not above legitimate criticism. Forgot to sign my name at the end of my post so that Fr. X and all like-minded detractors know that not all anonymous bloggers are “cowards”. In fact the greater number are brave Catholics who use pseudonyms for prudential reasons. I’m obviously not very prudent! I doubt if there is anyone in Blogland who doesn’t know your ID by now – you kidding?! You need to get out more, girl!! During the Reformation private publishing was common and many wrote under pseudonym, including St. Edmund Campion. The penalty for being identified was death, and that is not the case now, yet. That qualification does matter, since short of death, what is lacking is leadership, men who will actually step forward either to run for office or to use existing law to fight in this struggle against Vatican II of which Francis is merely the most recent fruit. I am in hope that the SSPX protest against anonymity is more a protest against the failure of leadership in a persistent, consistent opposition to modernism than against the principle that anonymity sometimes is necessary. Yes, sometimes anonymity is necessary, but that time is not now. The other aspect of this question is coupled with anonymity permitting the disrespect shown for the papal office, and isn’t that really the actual, critical point? Much of the internet chatter teaches the faithful not to criticize specific doctrinal issues, but the office itself. Isn’t that the protestant cry? SSPX is wise to warn us, then, for the principle is far more valuable than the momentary advantage against Francis. We must fight him but not the papacy, and that’s a formidable distinction. When we come out of this on the other side, we’ll need respect for the office. That’s the Catholic thing, that’s our mantra, that’s the heart of the Church. I feel the same distinction ought to apply with the vicious attacks on ISIS. We are being led into a hardened rejection of the principle of a religious state, when the Catholic religious state is the single only political step that can possibly save humanity. We are attacking Islam viciously, indiscriminately, gleefully, not realizing we are sacrificing the more valuable principle. We defend secularism in this way. But that’s a side issue. I’m only pointing out the parallel. At this point, at this time, we are not yet dying for defense of tradition, and in that case, SSPX’s position against anonymity is correct. We need the hard hitters in the Faith to stand up and defend us sheep. Please. Sign your name. Sign your real name. Yes, you will suffer for it. But you won’t die. Otherwise, to the related issue, I personally am disappointed in SSPX at the local level. At my chapel we live as if we were already underground. We reach out not. Not in any way. We don’t even have a chapel online calendar. We suffer no email access. This may be only US SSPX and it may be related to the continuing influence of Bishop Williamson and his protestant approach to women. Our chapel is terrified we might attract women in pants. This has consequences, and it is almost unbearable. Really US SSPX leadership ought to thoroughly purge Williamson’s influence from our pastors. Pray for us! I agree with much of what you say but I think you are mistaken – certainly as far as the bloggers here are concerned – in suggesting that robust criticism of Pope Francis means disrespect for the papal office. We correct bloggers who address Pope Francis as “Bergoglio” for example, in an effort to keep clear the distinction between this dreadful pontiff and his office, but there are people who cannot really make that distinction, even those who recognise him as a bad pope. There are some who believe that any such robust criticism, means disrespect for the office, even though they do not apply the same principle to criticism of other professionals holding office, such as incompetent doctors, for example. Nobody would speak gently and with much respect about a doctor who was known to be incompetent or even, as in one case in England in recent years, guilty of murdering at least 200 patients, for fear of damaging the public perception of the professionalism of doctors. On the contrary, it is in order to safeguard the integrity of the papal office that we must not hesitate to criticise, as harshly as necessary, Pope Francis who will, undoubtedly, one day, face censure by the appropriate Church authorities. Historians would not speak well, then, of Catholics, ordained and lay, who showed an unthinking subservience disguised as “respect” for the papal office. As I have already said (but don’t stop me, I want to hear it again – Groucho Marx!) it is precisely out of respect FOR the papal office that we must call out Pope Francis’ shocking dereliction of papal duty. I do have to agree with you, sadly, about the SSPX failure to “reach out”- I’m surprised to learn that this is the case in the USA since I’ve been led to believe the opposite. What you describe is certainly true here in the UK. I hadn’t linked the attitude to women to the influence of Bishop Williamson and dress codes because I think the same wrong thinking about women in the Church was present prior to Vatican II and gave rise to the movement for women’s ordination. But that’s a whole other discussion! My final word on your comment is that I disagree about anonymity. In fact, the use of pseudonyms in blogging is not always “anonymous” – my identity is well known, as is that of some of our regular bloggers. When Athanasius submits articles for publication in our newsletter or here on the blog, he uses his own name and I identify him (with permission) by his blogger username. However, there are some who would be in very deep trouble, although, as you say, not death, if they were to blog under their own name – notably priests and teachers. I know a teacher myself who was just about reduced to poverty levels due to suddenly being dismissed from post for the crime of teaching the Faith… using (even the flawed) Catechism of the Catholic Church! So, any teacher found online expressing criticism of Pope Francis or the local bishop, would be sent packing. While it would be wonderful if everyone would simply do the apparently heroic thing, there are other considerations. The morality of a husband and father risking the roof over his family’s head, for example. Priests, I’ve argued in the past, are celibate precisely so that they CAN show that kind of courageous leadership, but we have to leave that to the consciences of individuals. St Thomas More gave us the example of a man reluctant to be a martyr, who didn’t “speak out” until already condemned. He tried (naturally) to avoid martyrdom, thus leaving his wife and family to suffer his loss. The martyr priests at the Reformation didn’t stand in line waiting to be arrested; they took refuge in safe houses and did their best to take the Sacraments to the people, avoiding the danger of arrest as best they could. They didn’t advertise the Masses and the entire process of gathering congregations was done in secret – as, indeed, was the case with the first Christians. So, I think there is more to it, even today, than simply “well, you won’t die so speak out.” Our organisation, Catholic Truth, speaks out all the time – we have no access to the Catholic press, the bishops and most clergy ignore us and write us off as extremists, so it’s arguable that we’ve made any impact at all on the crisis in the Church, certainly as it affects our homeland, Scotland, and the wider UK. Anyway, you raise some interesting points, Janet – thank you for that. At the risk of using up my allotment of bi-annual disagreements, my take on the SSPX article was that it was not a blanket condemnation of anonymous criticism of the Pope, but one condemning disrespectful anonymity. However, since the tide of blog opinion appears to disagree with my take, I shall retreat anonymously into my wind-bitten cell and await further developments…. You can’t retreat, it’s not Lent yet!! Good point – I might advance sideways instead! Hi, editor! You wrote, “robust criticism” on this blog of Pope Francis is not to be taken to mean “disrespect for the papal office” but that’s what it becomes in the hearts of those who want to disrespect it. They take it and run with it. SSPX has been really careful to balance its more-than-robust criticism with over-the-top respect, that’s how it seems. They have even expressed affection for him. I don’t always maintain that balance and I’m taking their warning to heart. St. Catherine of Siena seems like a model, if I remember the details of her letters correctly. She could be devastating, and turn around and be sweet as pie. The prohibition against pants for women is in Holy Scripture (Deuteronomy 22: 5). It’s not Protestant or BW’s attitude. I once published an article in our newsletter, tracing the history of fashion. The trousers/suits which men wear today, are of very recent origin in history. Both Our Lord and Our Lady wore long flowing garments – Our Lord did not wear trousers – and over time, men wore various clothes that we would now consider more suitable for women (tunics with tights, for example). Men in kilts! It’s never been the Church’s way to prescribe details in our lives, such as what to wear. The over-riding consideration is modesty and even the one cardinal (whose name escapes me at the moment but whom I quoted in above mentioned article on the history of fashion) said that women’s trousers are often more modest than some skirts AND as long as women did not wear trousers as some sort of feminist statement against men,(I paraphrase) then we should not make more of it than necessary. Women’s trousers, with a long blouse/top, are perfectly modest, and I, for one, will never think like a man – and, trust me, I detest the entire feminist movement. It’s up to individuals what they wear. The Old Testament prescriptions were for their time, they are not binding dogma on Catholics today, with the obvious exceptions of the Ten Commandments and those which are part and parcel of the Church’s teaching on faith and morals. Deuteronomy 22:5 doesn’t bind Catholics, and nobody should seek to put unnecessary burdens onto our consciences. There were no trousers in the days when that verse was written, which is why it only refers to men and women’s apparel. Bishop Williamson, like the Wee Free Protestants, decided all by himself that trousers are forbidden to women, even though women in the U.S. during the 40s and 50s wore them regularly without censure from Pope Pius XII, the Vatican or the American hierarchy. The fact is the Church has never declared on clothing other than to forbid immodest apparel to both men and women. That Bishop Williamson and other extremists fixated on itemising and banning particular types of clothing, to the extent that many young women were being turned away at the Communion rail by over-zealous disciples, is testament to his (and their) error. These clerics acted like Pharisees, scandalising souls and frustrating the divine operation of grace by their obsession with external appearances. Thank God the lot of them have been cleared out of the SSPX. It is being reported by Italian newspaper Il Foglio, (and tweeted by others, including Rorate), that the establishment of the SSPX personal prelature will occur “soon” and that at the same time the Society will open a “Center of Studies” in Rome, to be based on the Esquiline Hill. What’s a “Center of Studies”? Check this out: https://voxcantor.blogspot.com/2017/02/sspx-and-reconciliation.html “Center of Studies” = Rome headquarters? RCA Victor, Very interesting, thanks for posting it. And so perhaps it is to be a location of seminarian / theological study? Thanks – here’s another question. I’ve been informed that the SSPX is low on cash because of the new seminary in Virginia. If that is the case, how did they come up with the funds to purchase what looks like quite a substantial building? On the scale of an embassy, no less!? I don’t know much about the finances of the SSPX, but my impression from what I have heard, (which may well be wrong), is that the Society very rich indeed (centrally, if not in every locale). I don’t know how much of the building in the photo is part of the Church complex, but, from the photo, the ground floor is in fact a pharmacy – although the architecture looks as though the upper floors may be part of a religious building. I have only been in Rome once (in my novus ordo days) and, other than mass at the Vatican, I visited a Church which served the American Embassy. Would that I have the opportunity to visit the new Church of the Society, when it is “up and running”. I would love the same opportunity, if only to hear Mass in that breathtaking Church! Perhaps Editor could stop spending so much time running the blog, putting out newsletters, organizing conferences, homeschooling family members, answering the phone and emails, and pubbing and clubbing, and concentrate on the really important stuff, like organizing a pilgrimage to Rome!! I didn’t know you wore a habib! That’s not a habib, it’s a towel. She had just put a blue rinse in! I read the Society has purchased the building – the reports I saw (Eponymous Flower and Father Z) claim the Pope had a “decisive role” in allowing this (?). Maybe the SSPX gave a condition of needing to own outright any such new building? Gabriel Syme, I really don’t know how much of a hand the Pope had in this. The church didn’t belong to the Diocese of Rome but to another religious order so the Pope, as the local Bishop, would have no say in the matter. I think it’s very wise of the SSPX to purchase the building rather than be given a church by the Vatican. The FSSP were given a church in Rome but that could be taken off them if they misbehaved in any way, something that can’t be done if you own the building. It is a beautiful church and will be even more beautiful when they get rid of the table. This church was built for the Grey Friars of Charity founded by Saint Ludovico of Casoria. If this does become the SSPX “mothership” in Rome, it would prove that God has a piquant sense of humor as the Grey Friars were one of the victims of the post conciliar tumult, being disbanded in 1971. Do you know if the building has been unused since the disbandment of the Friars or has there been another owner meantime? In any case, I am sure the Church building could not have better owners than the SSPX, until the end of the world. Gabriel Syme, as far as I know the church has been in use since the Friars left and has been served from the local parish church of Santi Marcellino e Pietro al Laterano. Although the photo you posted makes the church look huge it’s actually not a very big church but has a transept to the left of the High Altar which is almost as big as the nave. If you go onto Google maps and type in Santa Maria Immacolata all’Esquilino, Roma you can go inside and have a look round although you can’t see the transept in the virtual tour. If you go onto Google maps and type in Santa Maria Immacolata all’Esquilino, Roma you can go inside and have a look round although you can’t see the transept in the virtual tour. Thanks for the tip Vianney, I will check it out. I saw a comment about the Church elsewhere which said the author hoped the SSPX “knew a good roofer” which suggests there are some material repairs required to the building. While we’re talking about this purchase, there is still one thing I can’t get my head around. Not so much the puzzle of why Francis wants to regularize the SSPX – which is itself an enigma – but why the “powers behind the throne,” who clearly opposed the regularization under Benedict, are apparently going to allow it to go through under Francis. Could it be that under Benedict, it was seen as another shoring up of the bastions (as C. Ferrara called it, “the Benedictine Respite”), while under Francis, the bastions are in such a shambles that it no longer matters who takes up residence amongst the ruins? RCA Victor, it is all very puzzling. I remember when the Edinburgh chapel opened and a lady turned up at Mass one day and she said that she had asked at the Dominican church if it was OK to attend the SSPX. They apparently told her yes and that there was no problem. Someone mentioned this to another lady who knew the Dominicans very well and added “that was good of them, wasn’t it?” The lady said “well not really” and went on to say that the Dominicans were so liberal that if the lady had asked them if it was OK to attend a coven they would have said yes. Perhaps it’s the same with Pope Francis, he’s so liberal he thinks it’s alright for the SSPX to exist just like modernists. An article from DICI regarding certain rumours going around. there is no plan to purchase a building complex at Santa Maria Immacolata all’Esquilino, as Matteo Matzuzzi writes. Wow, so that whole report was a load of codswallop? Sheesh, disappointing that so many Catholic sources covered it if there was no real basis to it. Gabriel Syme, It says there is no plan to buy a building complex, now apart from the church there is a friary and a school which did seem to be far more than the SSPX needed. Developers would pay a fortune for the school which could be turned into flats and I’m rather hoping that, while they haven’t bought the complex, that they have bought the church. * Neither Bp. Fellay nor Bp. de Galarreta nor Fr. Nély stayed at the Casa Santa Marta. * They were not even in Rome from January 17 to 20. * Fr. Nély is not the one who finalize the purchase of any property for the Society. * The Superior General of the Sisters of the Society visited the community of nuns in Albano in February, not January, where she took no part in property negotiations. * Neither the Ecclesia Dei Commission nor the Vicariate of Rome helped facilitate any purchase involving the Society. As Abp. Lefebvre said in 1987, “We willingly agree to be recognized by the Pope as we are and to have a headquarters in the Eternal City, to offer our collaboration toward the renewal of the Church; we never wanted to break with the Successor of Peter, or to consider the Holy See vacant, despite the trials that this has earned us.” We still hope and pray for such a development, God willing; the time has not yet come for the hope to be fulfilled. I’m just amazed that that story could have done the rounds all over the place in all the Catholic publications when there’s not a shred of truth in it. I think Rorate reported it in the UK first, and that’s not the first time Rorate have jumped in with both feet. 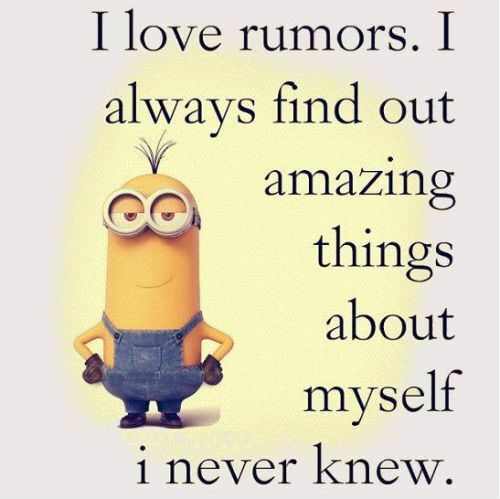 What a pity – I was hoping it was true, LOL! Josephine, there is an old saying ” a lie can run half way around the world before truth has even got it’s shoes on” and this seems to be an example of that. Like you, I was hoping it was true and I’m wondering if perhaps there’s a grain of truth in it. Dici says there is no plan to buy a “building complex” but doesn’t actually say it hasn’t bought the church. Time will tell. I wonder who’s “behind the computers” here?! Thank you for this link Helen. Reading the article has sent shivers down my spine. The grip of Pope Francis is being tightened it would seem. The Father X op-ed reads like something from the resistance crowd alleging an imminent sellout to the new churchmen. Does anyone seriously disagree with that point? This is a false dichotomy. The chief criticism – the omitted point – is that anonymous online authors publish remarks they would never say in person. Perhaps the lack of accountability makes it easier to say rash things? Not everyone is as thoughtful and careful in their online postings as our dear Editor. I’ve written the superiors a handful of times, and I’ve received replies every time but one. The most significant exchange, in my mind, was when I emailed Bp. Fellay about my concerns of certain laymen using discussions of third way economics as a Trojan horse to gain influence in SSPX chapels; the bishop replied less than a day later, acknowledged the “problem” (his word), said the matter was being addressed, and gave me his Apostolic blessing. Those third-way laymen, for the record, had an unhealthy influence over one of the SSPX bishops, and they now form a core wing with that same bishop as part of the resistance. Worse than Paul VI? Not a contest I would want to be the judge of, but Francis is clearly one of the blind leading the blind. Finally, long-time readers will recall that in my first post to CT a decade or so ago, I provided my full name, and I’ve occasionally linked to material I’ve published online. For those who weren’t reading this forum back then, I’ll follow the example of Athanasius (aka Martin Blackshaw) and provide that information again. See everyone at the CT Conference in May. This is only partially true and does not therefore justify Fr. X’s generalisation of all anonymous bloggers as cowards. It is precisely by blogs and other forums that many Catholics come to some understanding of the present crisis, and it is by the same means that the SSPX is so well supported today. We have to be very careful not to throw the baby out with the bath water. Generally speaking there is a mindset within the SSPX hierarchy that modern communication methods are, well, evil. I’m thinking in particular of Bishop Tissier de Mallerais who I understand refuses even to speak into a microphone. Bishop Williamson is known to have had similar reservations about modern communications. Though not shared by Bishop Fellay and many district superiors, this mindset is nevertheless prevalent in some at the top. I suspect it may have been a disciple of this anti-communications doctrine who wrote the declaration in question. At any rate it was a wrong statement, one of extremism. As regards the response you received from Bishop Fellay, I’m pleased to hear about it. I know other people who wrote for years about the same problem you wrote about and got nowhere until, al length, His Excellency was obliged to open his eyes to the problem. Anyway, I was speaking generally of superiors in the various districts, not so much about Menzingen. I hope this doesn’t mean that you will not be blogging again between now and then. Your contributions are greatly valued. > I hope this doesn’t mean that you will not be blogging again between now and then. “Bishop Tissier de Mallerais who I understand refuses even to speak into a microphone.” Well, I am a witness to the fact that he uses a microphone every time he preaches the Sunday homily in Chicago, which is often. I stand corrected. Thank you for that clarification. “Third way economics as a Trojan horse to gain influence in SSPX chapels.” Not sure what you mean here, that SSPX chapels are susceptible to falling for distributism, and this will lead them away from the truth? In any case, I promote distributism along with the return to the Catholic state, which is the only way distributism could possibly work. And I detest the resistance. I have a sci fi novel dedicated to Archbishop Lefebvre in which Catholics restore the Faith to civic honor on an asteroid. And practice distributism. ‘Run, Malapert Press,’ google if interested. Distributism IS a third way, an option, and a benign, non-competitive association of small owners. What we have been used to calling ‘conservative’ is radical economic protestantism, born of the same evil seed. My meaning was clear enough. For something to be a Trojan horse, it must in fact be different from what it is presented to be – i.e. a disguise. Thus, a group of people professed that they were chiefly concerned about Catholic economics, but it turned out that they were actually using that as a cover worked to influence the SSPX as a parallel structure within the organization. Thus, the question of economics was a decoy. Like I said, it’s old news; the issue of concern was never chiefly about economics; Bp. Fellay was already aware of the problem when I wrote him about it; and the chief agitators appear to have gone resistance. Glad to hear it. The crew that used third way economics as a Trojan horse effectively marginalized themselves by going resistance; now the rest of us can have a genuine economics discussion regarding the pros and cons of various programs without having to worry about hidden political agendas. Does anyone seriously believe that any of the great saints who fought to defend the Faith – Catherine of Siena, Francis de Sales, and many more – any of them would NOT have made very good use of the internet, had it been available in their time? Absolutely, they would have taken to their keyboards, with gusto. So, I do, I’m afraid, take issue with the idea that those of us who are doing what little we can to defend the faith publicly under attack by this Pope, are “hiding behind our computer screens” just because we make use of the convention of pseudonyms. Were the very first Christians cowards, hiding/denying the Faith because they used signs and symbols to advertise meetings and places where the Mass would be offered? Surely nobody would suggest that? Surely nobody would suggest that it was clever of the earliest Christians, those in the first century, to show prudence and imagination in order to practise, preserve and spread the Faith but those of us in the 21st century are wrong to use imaginative means of doing the same thing. Now, don’t go cancelling your flights and hotel. Just remember, Loch Lomond. I might slip (you could tell the cops) and fall into the water, who knows… Bide your time! You know the old saying “don’t get mad, get even” – Loch Lomond will be your chance! Thank you for posting your blog link – I will take a look over the weekend. Right now, beauty sleep beckons (say nothing) after a more than hectic day. Then present company excepted, I can still recall of any number of online sorts who write under pseudonyms while performing the virtual equivalent of ringing the doorbell and running. Hardly the stuff of saints. Your friendly neighborhood WurdeSmythe doesn’t imagine that everyone who writes under a pseudonym is guilty of such conduct. Rather, my observation is that it does account for a share of the online world; the comments of Fr. X, I think, are on point for mad keyboarders of that sort. And I’ll thank you not to ruin my low road journey to the bonnie banks o’ Loch Lomond by clumsily falling into the deep. I promise not to fall into the Loch – if you promise not to push me! I think we can all agree that it was Fr. SSPX-X’s generalisation that was wrong. He condemned all bloggers across the board without distinction, a grave fault on his part. Perhaps he’ll realise his fault and apologise to those he unjustly castigated. We shall see. In other words, for personal appearances, Editor brings her rolling pin! 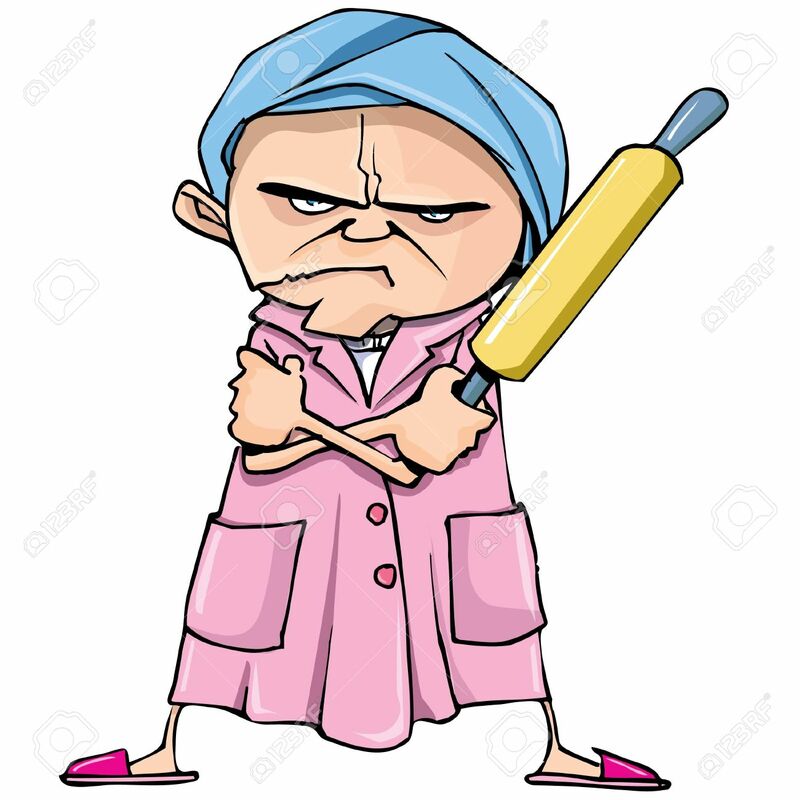 > Editor brings her rolling pin! I too blog anonymously. Reason? Fear of reprisal. It is a simple as that. It is not so much that I have a lot to lose, though I do, but above all I feel I would squander the little influence I have and which, although I say it myself, I have been able to put to good use over the years. Concerning those who are said not to like modern communications, a microphone and loudspeaker is one thing, but the whole gamut of web based communications is quite another. I have no difficulty in believing that Facebbok and Twitter are born of the evil one. The internet has the potential to be a force for great good; idem electronic mail. As for the mainstream mass media, taken together, I have no doubt that it is the lunga manus of Satan in the modern world. I could not agree more with you on mass electronic communication in general. I should have made the distinction clear in my previous post. And I absolutely agree with you about Facebook and Twitter, although if it were not for the latter Donald Trump would have no way of getting his message across to the American people. Overall I would shut down the Internet tomorrow if I had the authority. It has been far more a vehicle for evil than for good. I would love it if we could all return to pre-Internet days when the world was bigger, safer and, dare I say, more human. I am afraid that the Internet is a genie which is impossible to be put back into its bottle. As for Facebook and Twitter I have never had anything to do with either of them. I just cannot understand why people are so silly as to want to go telling the whole world about the minutiae of their lives. I prefer to keep my life as something which is private to me. I totally agree about Facebook and Twitter. There is something quite frantic about those systems that I cannot explain – unless, as you suggest, they are diabolical. All well and good, and about time, but I suggest to you that one of the reasons there is infidelity amongst Catholic leaders is the existence of neo-Catholic apologists like Dr. Mirus, who have done their level best for years to rationalize away Papal scandals. Thanks be to God that Francis’ outrageous behavior has finally pushed most of these “first responders” over the edge into reality. So have a good look in the mirror, Dr. Mirus, before you look elsewhere. Well said. I can remember how forcefully Catholic Culture defended every indefensible word and action of the popes prior to Pope Francis. They really did take the biscuit, and it is a measure of just how bad is this present pope, that even THEY are speaking out. Deo gratias! Anonymity is essential in today’s Rome. The SSPX hasn’t had to operate in Rome for a long time, if ever. It will learn! The anonymous Fr SSPX-X does have some points in that anonymity can be a temptation to saying things that one would not say if one’s identity was known. Although I would generally stand by the comments I have made online, there are some things I have written which I might have put in a softer tone. 1) A good friend of mine once received unwanted phonecalls and even death threats when he wrote articles critical of homosexual activities. He was the kind of man who could “take the heat”, but when wives and children also become targets for the depraved haters, that is another matter. 2) I have made a promise of obedience to my bishop and while I am sure that he would not find anything I write too offensive, I don’t want him to get it in the neck from his “epicopal brethren” or others who might take umbrage at things I have written. However, a few months ago after the dubia were published, I resurrected my facebook account in order to “make a mess”. I realized that most Catholics were completely oblivious to what was going on in Rome and the only “Catholic news” they got was what the MSM chose to give them. Although I loathed facebook, twitter etc. the social media can be a very useful tool for getting real information to people past the filters that the MSM impose on it. Along with some other like-minded Catholics we decided to exploit facebook’s newsfeed algorithm to get Catholic blogs, websites and commentary out to a wider population than would normally seek them out on the web. It is critical that we do this because these last 4 years of lies, misinformation, misdirection and outright heresy emanating from Rome have the capacity to lead many souls to hell. So everything that I write and comment on with my online “persona” of Deacon Augustine (Augustine being my Confirmation name), I am doing the same under my Bapismal name of Andrew on facebook. I got to the point where I couldn’t give a toss anymore about who might be offended by what I wrote, or what they might think about it. However bad it might be, I cannot imagine having the ability to be so downright offensive, insulting, crass and materially heretical as [Pope Francis] in Rome is on a daily basis. There is in “traditional” Catholic circles a received piety about not being critical of the Pope or one’s religious superiors. Seminary formation drums this in to the men who study there and the good obedient ones drum this in to their flocks. This has led to an ethos of the laity being there to pay, pray and obey. It has also led to an attitude among the clergy of “not rocking the boat” and putting obedience to their superiors ahead of obedience to God’s Law. It is exactly this exaggerated, false piety which led to the child abuse crisis among clergy, and we are seeing it appear again by the disgusting complicit silence of the great majority of the clergy in the face of heretics who are trying to turn the Church away from God and His Law.